About Cleethorpes - Cleethorpes area NE Lincs. 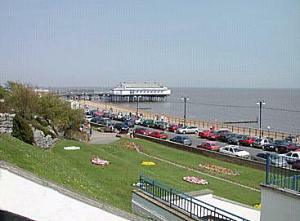 The seaside town of Cleethorpes offers a multitude of attractions to suit every taste. From donkey rides along the beach to the white-knuckle experiences at Pleasure Island theme park, Cleethorpes has it all. The resort has ample accommodation and can be reached by road or rail. It's just minutes away from the heritage-rich, fishing port of Grimsby. Guest houses are abundant and, for those who prefer to holiday with family or friends, Thorpe Park includes luxury caravans, an indoor swimming pool, cabaret shows, and a traditional pub and restaurant. Nature lovers can stroll along the coastal path, watching the variety of wildlife that inhabits the shoreline, an area of natural beauty and wildlife haven. The Humber Estuary Discovery Centre offers visitors of any age the chance to explore life on the seabed and find out what it's like to see like a bird.